Keep your pool accessories organized and your game room looking great. 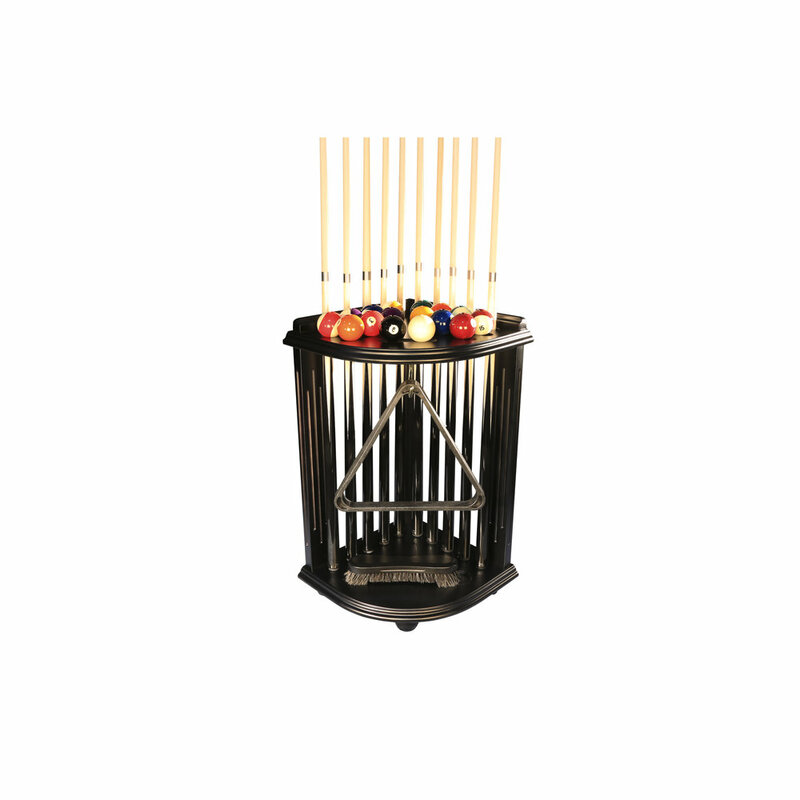 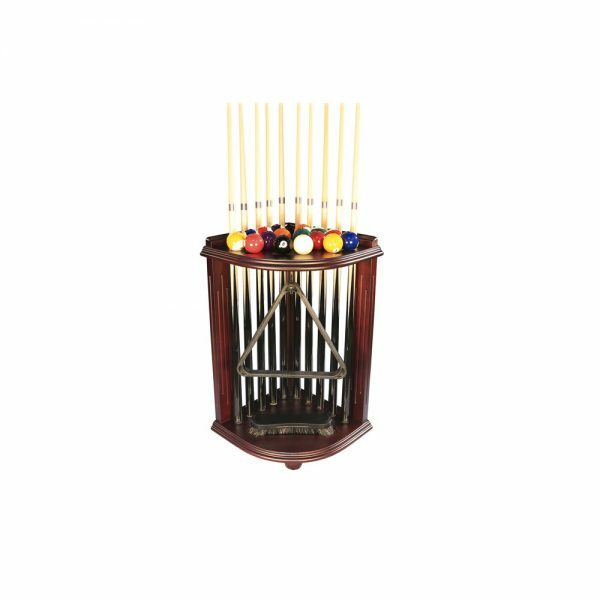 The Corner Pool Cue Rack is beautifully crafted and holds 10 cues, 1 set of pool balls, and most other pool accessories. The rack’s corner design is perfect for the player with little space to spare. Available in 4 finishes, this rack is sure to compliment any home. 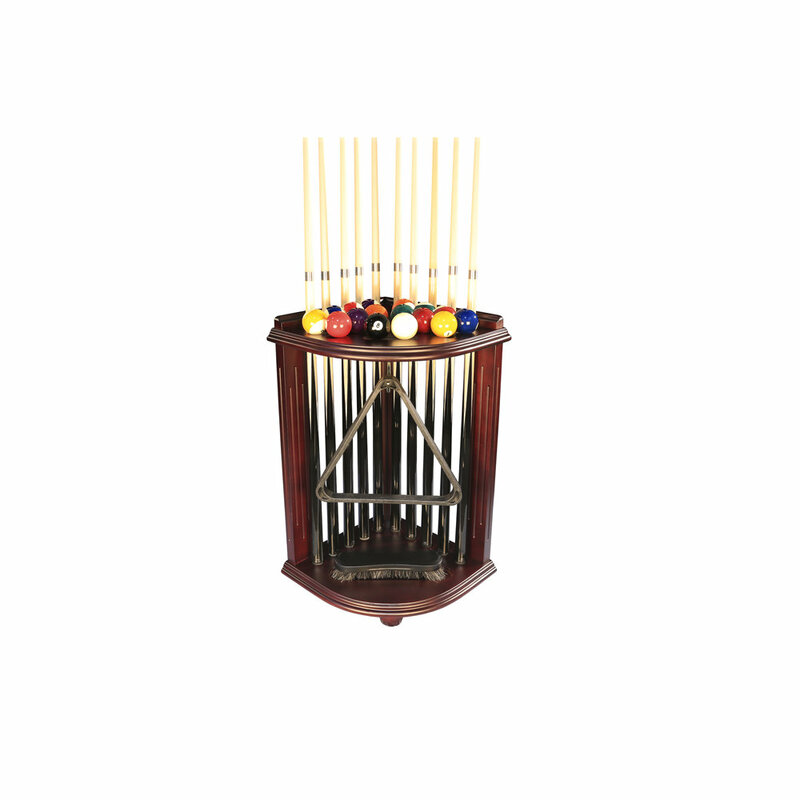 Complete your billiards set today with the Corner Pool Cue Rack.